Sathyam is Truth; you resent any imputation of untruth. The real 'you' is Sathyam. How then will it accept any other appellation? So too, you are Sivam; joy, happiness, goodness, contentment, auspiciousness. You are not Savam; dead, miserable, weak; you are Sivam. Then again, the real 'you' is Sundaram; beauty, harmony, melody, symmetry. 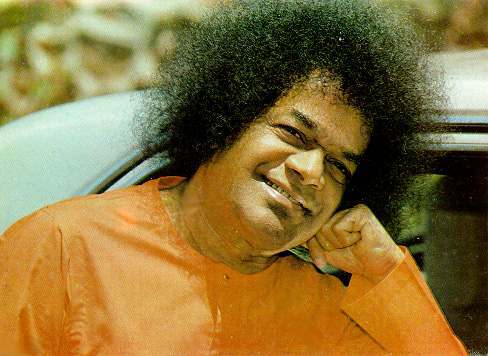 "Follow the Karma-marga with the harmony and charm of Sundaram; follow the Bakthi-marga with the exhilaration and exaltation of Sivam; follow the Jnana-marga with the directness and steadfastness of Sathyam. "I am neither man, nor god, nor archangel nor angel. I am not to be known by the name of any of the four castes or of the four stages of human life. 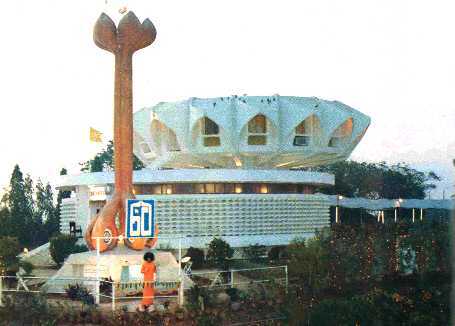 Know me as the Teacher of Truth, Sathyam Sivam Sundaram"
The magnificent structure was completed in 108 days after the first trowel of concrete was laid, the number 9 being the theme of the holy structure, of the 18 petals of the lotus which encloses the apartments where Bhagavan would stay, of the pillars, steps and trellis squares, all in multiples of 9, the brahman Number. Narayana Kasturi M.A., B.L. (1897-1987) has been Babaís biographer for many decades. Besides he has also been the translator for Babaís discourses and writings, editor of Sanathana Sarathi and an elderly devotee at Prasanthi Nilayam. 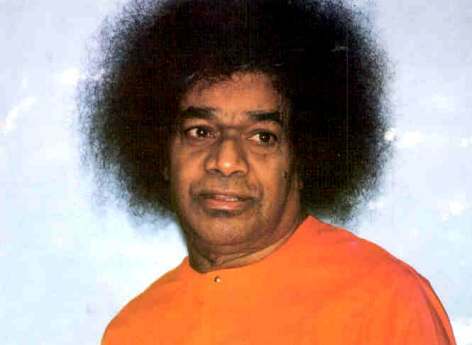 He is the author of Sathyam Sivam Sundaram - The Life of Bhagavân Srî Sathya Sathya Sai Baba. 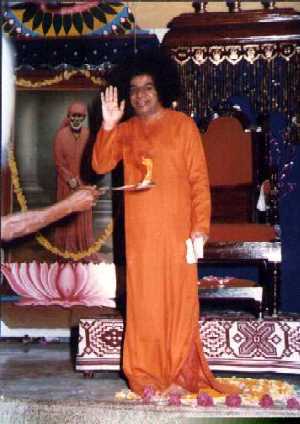 Part III - "Sign and Signature"
Baba has said that the Nagarasankirtana is Bhagavatha in practice. When the senses are still dormant after the night's sleep, before they get too loudly involved in the pursuits of the busy day, you should move along the quiet streets in the cool, thrilling pre-dawn silence, bringing God into every ear, radiating the fragrance of the Divine Name through every open door and window. This is self-help as well as social service of the highest order. It is a tonic to the body and a shake-up to the mind. Every song cuts the knot of laziness that is infecting someone. You remind your neighbours to offer thanks to God for the gift of another day; it is a mission of love. It is a purificatory Yajna, for it disinfects the air fouled by slogans of anger and cries of pain and pride. It helps to remove inner and outer pollution. "For what purpose were you born? What has been your achievement in the years that you have spent as men among men? What are you intending to leave behind when you die?" 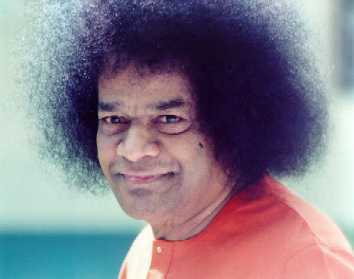 Sathya Sai Baba is the second of three incarnations of the Sai Avatar. 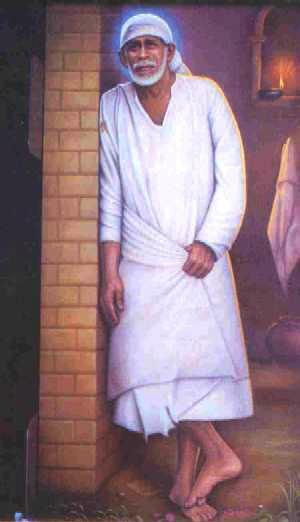 The first was Shirdi Sai Baba, who left his mortal body in 1918, after teaching the unity of God and brotherhood of man his whole life. In particular, He did this among the Hindu- and Muslim-communities in central India, who on their side considered Him as one of them. "He sits on the floor with us and invites us to express our spiritual doubts. Then we see before us what appears to be an Indian man (Baba told Arnold Schulman: "I am not a man, I am not a woman, I am not old, I am not young; I am all of these. "), of dark brown skin (Râma and Krishna are described in the epics as having dark skins), slight in build, with a mass of black hair with golden highlights framing His face."